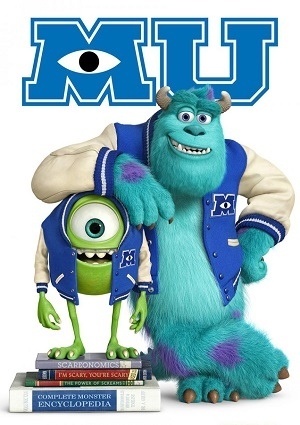 Monsters University is a prequel to Monsters Inc. where Mike and Sulley where at Monsters University where they weren’t necessarily the best of friends. This movie is based on what happened before, how Mike and Sulley met and became best friends and furthermore the best monsters out there. It explains their relationship when they were younger and still in the University studying to be a great scary monster since their power was based upon the level of scares they could induce in a child this is where it all began for those two that in the end became best of friends.